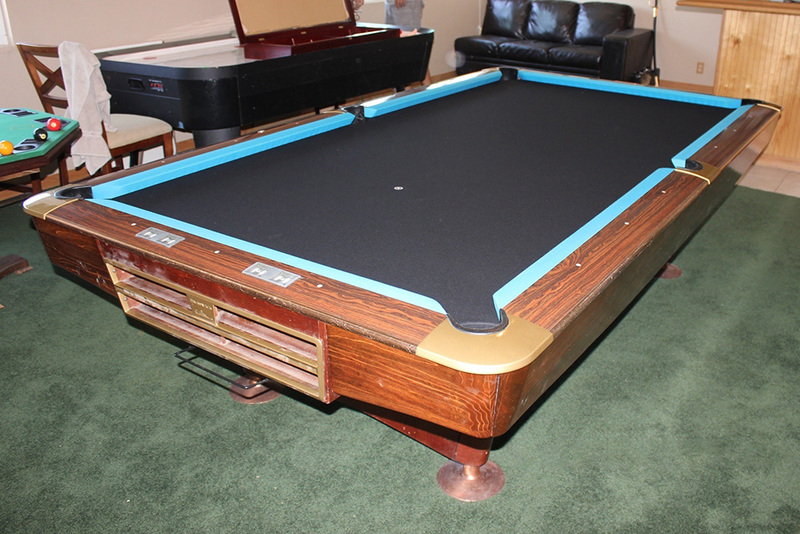 This Orange, California family had their 9′ Brunswick Gold Crown III in storage for many years. 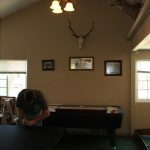 Finally, they had the perfect space and decided to get this beauty back up and playing. 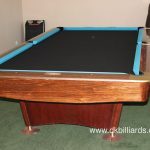 This tournament grade billiard table has a commercial look, but it is not your typical barroom table. Gold Crowns have been produced since the 1960’s and continue to be manufactured today. This third generation is likely circa 1980s. 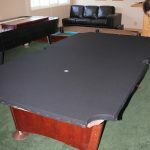 The old green cloth for the bed was shot, so we place new black felt over the three piece slate. The two-tone matches the room and adds a little bit of character. Seeing this table makes me miss my Pro 8′ Gold Crown III I owned for many years.